How to create a new customer. Name. Enter the customer name. Customer Manager. Enter the internal customer manager name. This list will be based on the list of created Employees. Tags. 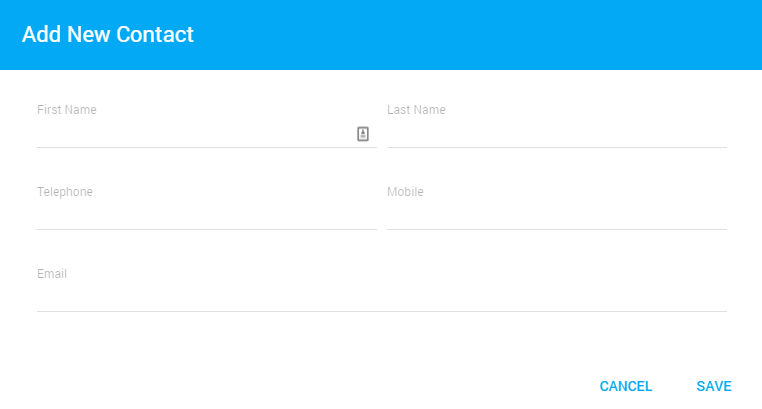 Optional field. Enter any tags for the customer. These can be used to highlight specific customers. Notes. Optional field. Enter any customer-specific notes. Customer image. Optional field. Upload a customer logo or image. 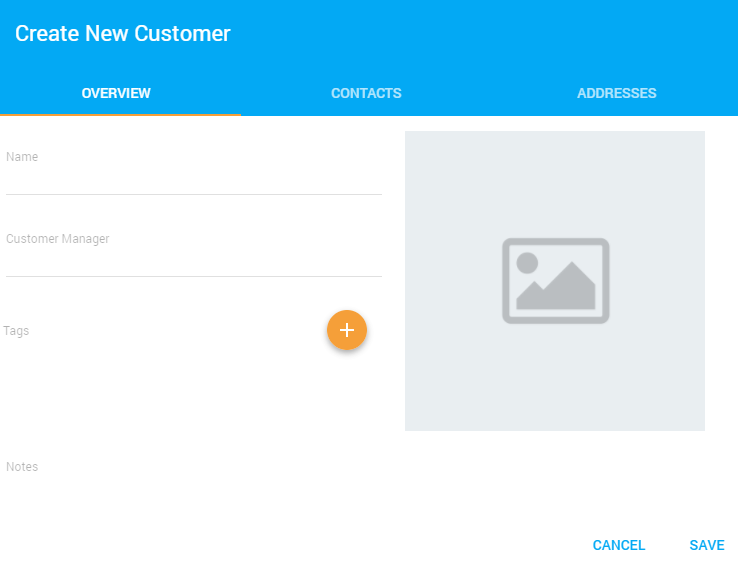 Each customer can have multiple contacts. First Name. The contacts first name. Last Name. The contacts last name. Telephone. The contacts telephone number. Mobile. The contacts mobile telephone number. Email. The contacts email address. 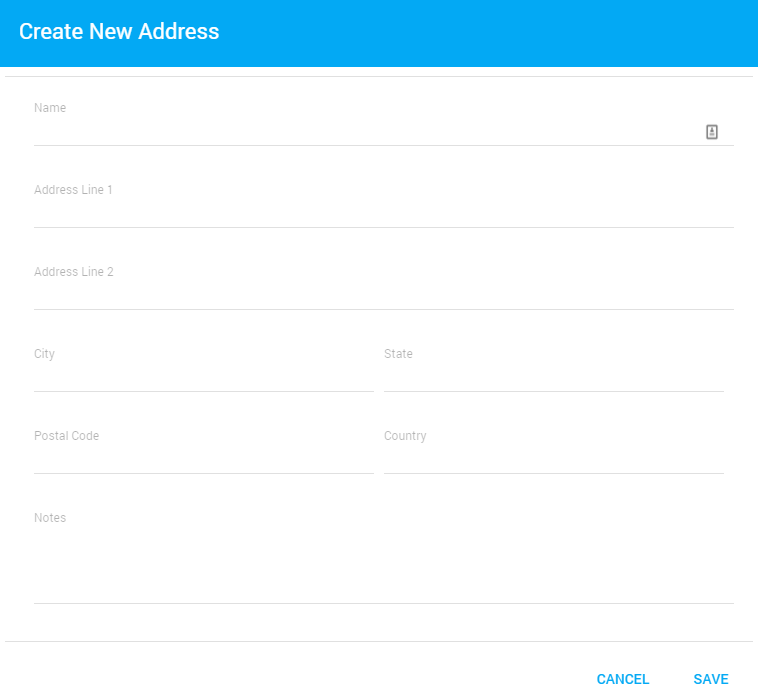 Each customer can have multiple addresses (e.g. they span multiple buildings). Address Name. A unique name for the address. Notes. Enter any address-specific notes.